"I am not a person who is going to say I forgive but I don't forget. I say I forgive and I forget at the same time," Prince Al-Waleed said in an interview with Bloomberg News published on Tuesday. "It's business as usual. We are going to continue investing in Saudi Arabia. I was born in Saudi Arabia, I will die in Saudi Arabia." The prince refused to divulge the terms of his release, which he described as a "confidential and secret agreement". The agreement had, however, left him free to function normally with "zero guilt" and "zero conditions", he said. 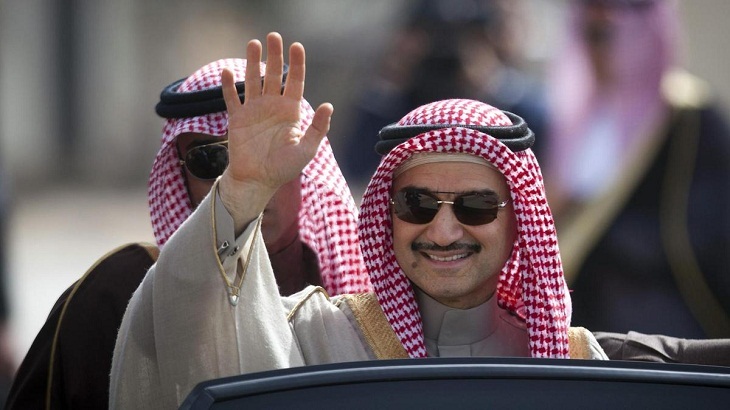 Al-Waleed was the most high-profile detainee among 350 suspects rounded up since November 4, including business tycoons and ministers, who were held in Riyadh's luxury Ritz-Carlton. A Saudi official told AFP that the prince's release came after a monetary settlement similar to deals that authorities struck with most other detainees in exchange for their freedom. "I was never tortured," he said. "Actually, I was given the best service. Doctors used to come twice a day. We had the best service, best food, best everything." "However, I assure them that everything is normal and we are functioning as we were before and we welcome them to come here to see what we're doing in Saudi Arabia and life is back to normal." Some critics have labelled Prince Mohammed's campaign a shakedown and power grab, but authorities insist the purge targeted endemic corruption as the country prepares for a post-oil era.